The company KNEZ PETROL proudly points out that it is ten-year leading buyer of NIS. With highly created and recognizable KNEZ PETROL BRAND, we are focused on the future. We shall ensure our place in it by the quality of our work. 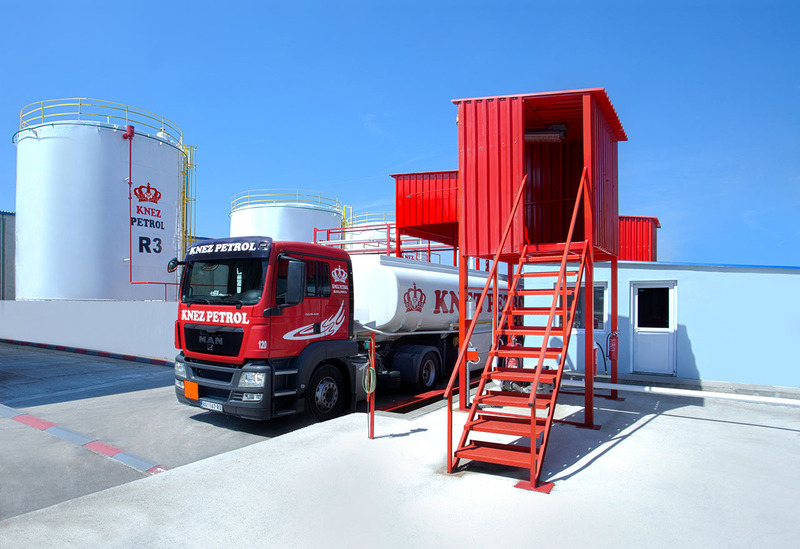 The wholesale of the company KNEZ PETROL is a particularly important segment of our activities. Over 4500 clients, predominantly private gas stations, are completely supplied with all oil products by us. Our service is reflected in the quantity precision, time punctuality and collection flexibility. We provide for our clients, private transporters, reservoirs of 5.000 to 35.000 liters, with pumps for Euro Diesel storage. The clients and their needs are our priority. We have been in the continuous expansion for the last four years. -By printed edition “Best of Serbia”, published in cooperation with the Serbian Chamber of Commerce, for the period 2005/2006, Knez Petrol is at the 80th position. With the view of meeting the needs of smaller enterprises and clients, we make deliveries even for smaller amounts of oil products, as of 5 tons. At the top of that, as part of our offer, we transfer all our products to the delivery location using our transportation, which is a service included in the price. We provide for our clients, private transporters, reservoirs of 5.000 to 35.000 liters, with pumps for Euro Diesel storage. The company “Knez Petrol” owns contract valid for the year with the Oil Industry of Serbia for delivery of 4.500 tons of gas per month. Our monthly import is 3.500 tons of liquid petroleum gas. Furthermore, we have contracts on providing liquid petroleum gas for 350 private gas stations and for approximately 100 factories (bakeries, mills, production). We have the contract with the ceramics Mladenovac on transferring the liquid petroleum gas into the warehouse space as well as with the Express Gas Novi Sad and Standard Gas from Odzaci. For each signed contract on exclusive supply for the period of 3 years, the company gives reservoirs of 5.000 m³ and complete gas installations for transfusion and pouring. The “Knez Petrol” distributes liquid petroleum gas to Montenegro by supplying 15 gas stations, as well as to Kosovo, southern part – 20 gas stations and northern part – 25 gas stations.